It's February. Christmas feels like it was miles away but it was really only a few weeks ago when we were eating all the food, drinking all the drinks and basically enjoying the excesses of the silly season. Now that it's the new year, the rose coloured glasses are off and I now see that I need to get back on the Slimming World wagon, but until then, I'll be contouring all those extra pounds off with this! The Face Sculptor from IsaDora is a one stop shop for your face with a bronzer, blush and highlight all in one compact, making it perfect for on the go for those of us who carry around a the beauty section of a chemist with us on a daily basis. At the back of the compact is a diagram showing you where to apply everything, so no excuses not to sculpt the bejaysis out of your face. Shaping the face is something I always do whether I need something light like this for everyday wear, or something more contour-y at night. It makes me feel less guilty about that second Club Milk I had last night (totally worth it though). The sculpting shade in the IsaDora palette is a lovely soft warm matte shade with subtle shimmer and before you go "Excoosy Karen, what you talkin' about with your shimmery contour waffle?" let me tell you what Stefan Ulvund Oien explained when he was in town recently. 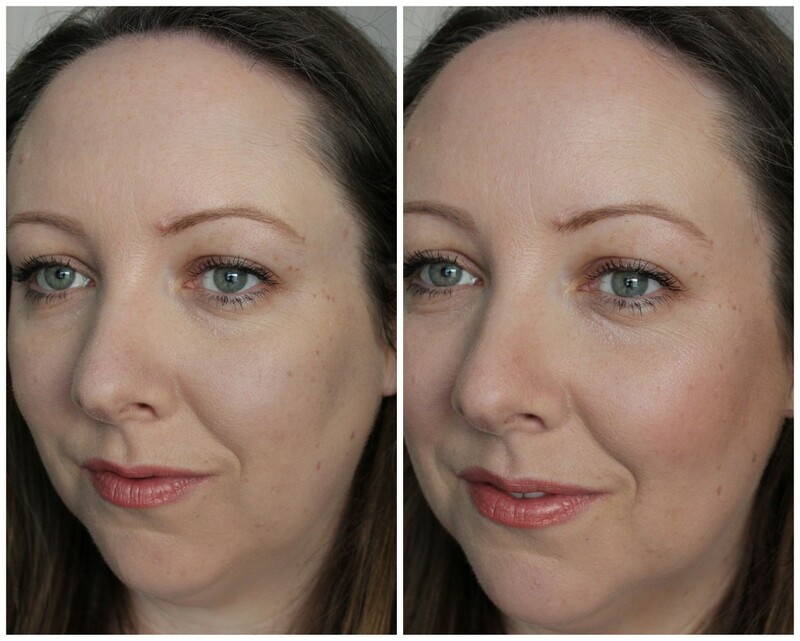 If you've got a nice highlight going on and you're out and about in the sun, it'll look a bit strange if you tilt your head and there's a grand strip of matte makeup on your cheekbones. You want the finish and texture of your skin to be as one. This new bit of information goes against everything we've learned over the years, but when I let that sink in, I remembered Charlotte Tilbury's Filmstar Bronze and Glow which also has a slight shimmery contour shade. Hmm, it seems like the contour-y tides are turning! 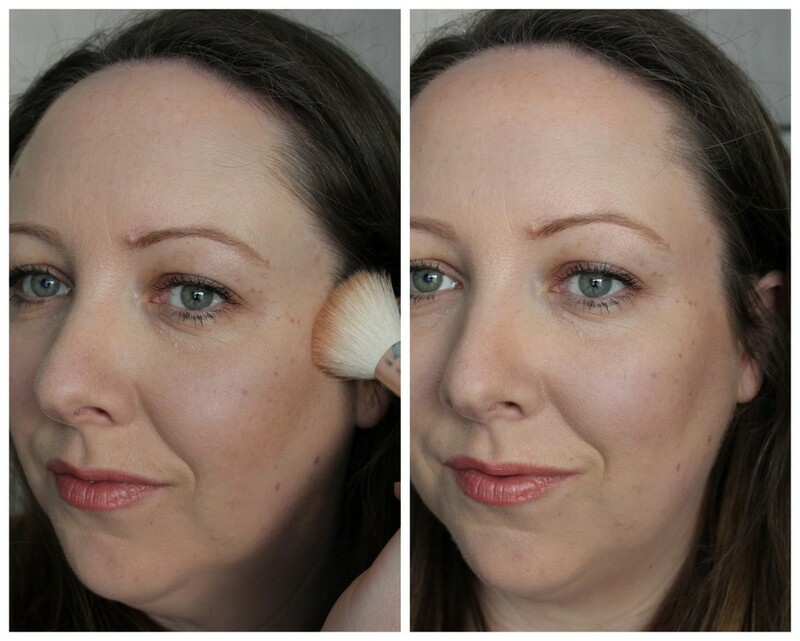 The contour shade is perfect for my skintone and doesn't look too orange or too ashy on me, just very natural. And as I'm into looking lit from within when I'm anything but, the slight shimmer, and I do say slight, gives a really soft focused contour whenever you apply it. So newbies, be not afraid. 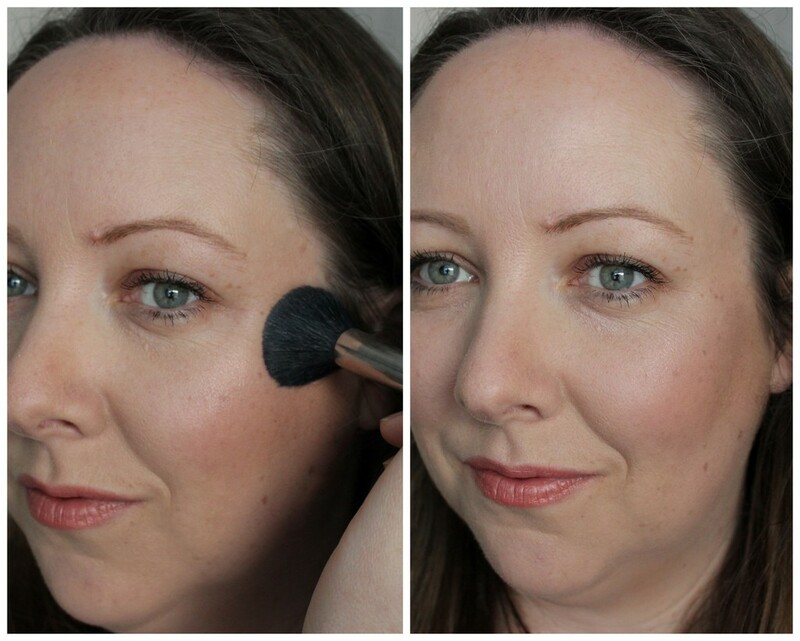 And if you do go a bit heavy handed using it, just take your foundation brush and blend the edges with it. Works every time. As usual, I start from the top of my cheekbones and work downwards with this, then blending it into my hair line. I generally take this up around my hairline too, sometimes down the sides of my nose and along my jaw line. The peach blush is right up my street. All the way up my street and around the corner. It's really pigmented so work in thin layers or your shimmery contour is the last thing you'll be worried about. It gives a healthy flush of colour to the skin and the slight shimmer in it (I said slight again, I know, but it is) gives radiance to your cheeks and makes you look alive, alive I tell you! Smile awkwardly, find the apples of your cheeks and apply the blush from there towards your hairline. And a handy thing about having all three products in the one compact is you can mix and match. 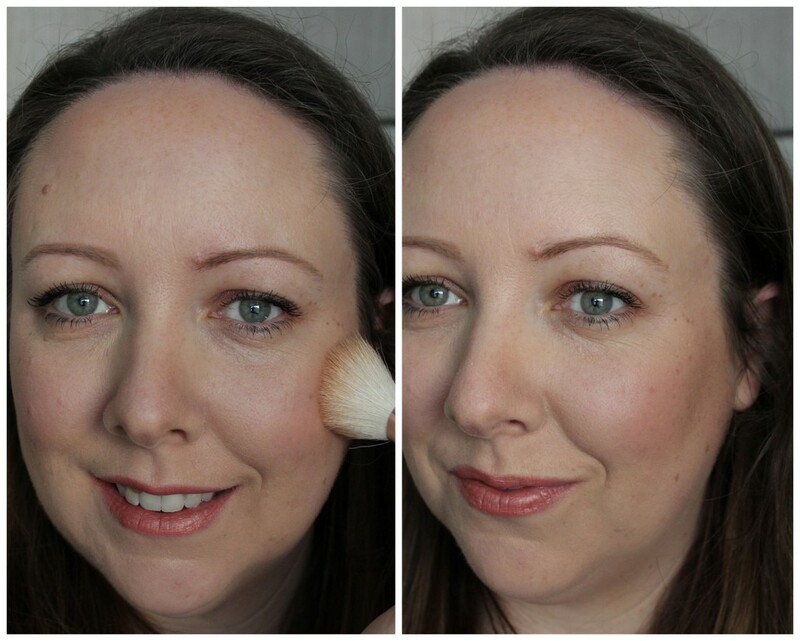 So if you want blush with a bit more radiance, then dip your brush between the blush and highlight. The icing on the sculpt-y cake is the highlighting shade which is so finely milled that you won't have to worry about chunks of glitter at all at all. Instead, worry about being so fabulously candle lit and having to answer a lot of questions from people as to why your skin is looking so faboosh. 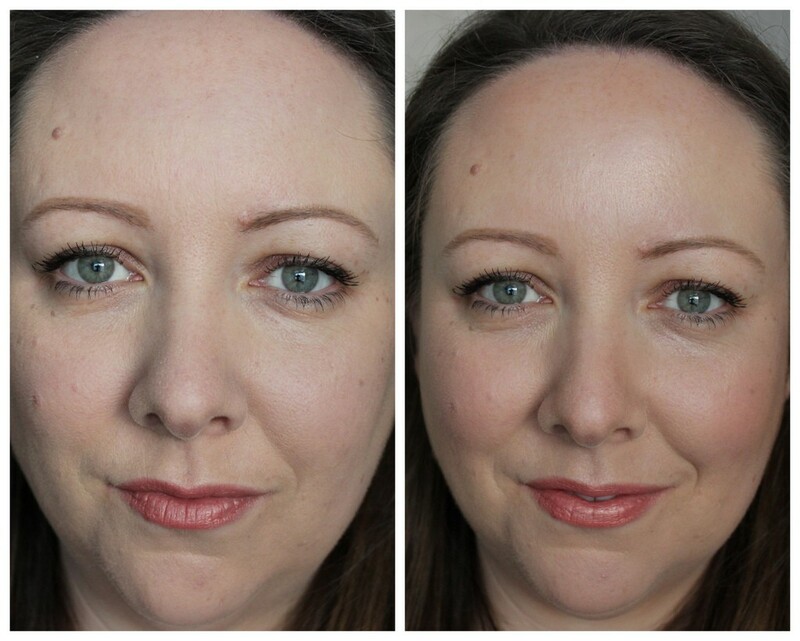 I apply it along the tops of my cheekbones mainly, a little bit on the centre of my forehead, and you can bring it across the bridge of your nose, onto your brow bone, along your cupids bow and onto your chin. This champagne shade gives the most lovely sheen to the skin and is instant radiance in powder form. And the final before and after photo below! Don't I look more alive! Nekkid face versus sculpted face. Now, we have two of these IsaDora goodie bags up for grabs! One here on the blog and another one on Instagram! Because nail polishes are involved and there have been some issues with international postal services delivering nail polishes, we have to have the giveaway open to residents of Ireland, North and South. All you need to do to enter the competition on the blog is enter your details in the widget below and I'll have the Instagram competition up today too! Good luck! When entering with Rafflecopter, please make sure you are using a valid email address as that's the one we'll be contacting you on if you win! The shimmery contour is a really interesting concept.